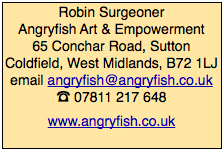 Hi there my name is Robin Surgeoner: AKA Angryfish. I am a Writer, Performer, Workshop Leader, Qualified Trainer and Disabled Artist. I have been performing as a live musician since the 1980’s and have been developing, writing and performing my own material including; song, spoken-word and theatre throughout my performance career. All of the work I engage with is underpinned with a foundational belief in Human Rights and everybody’s right to an equitable existence. A music career including touring the country, having music used by the BBC, recording and producing other artists and running an indie record label. 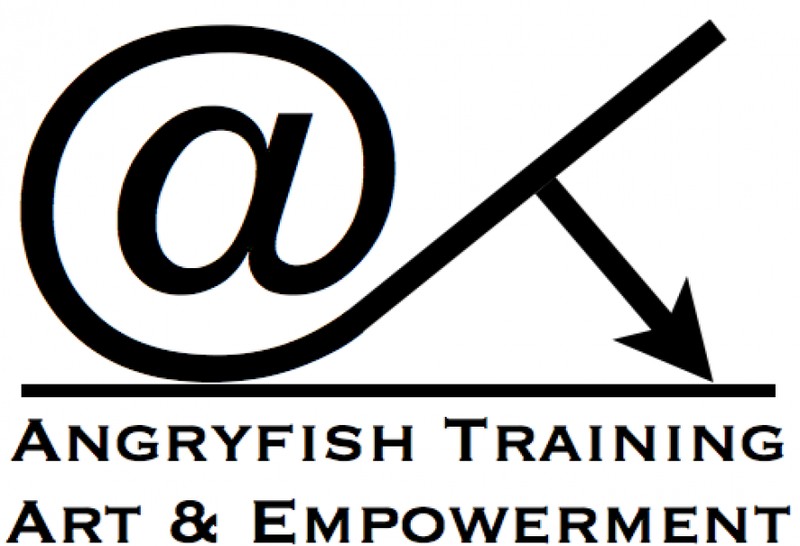 I have specialized in developing and running Empowerment through Creative Writing & Song, and in using my mobile digital recording studio to produce compilation works for course participants. All courses and training are bespoke and therefore can be tailored to differing audiences and age ranges.